For leather slings, leather bags and other accessories. 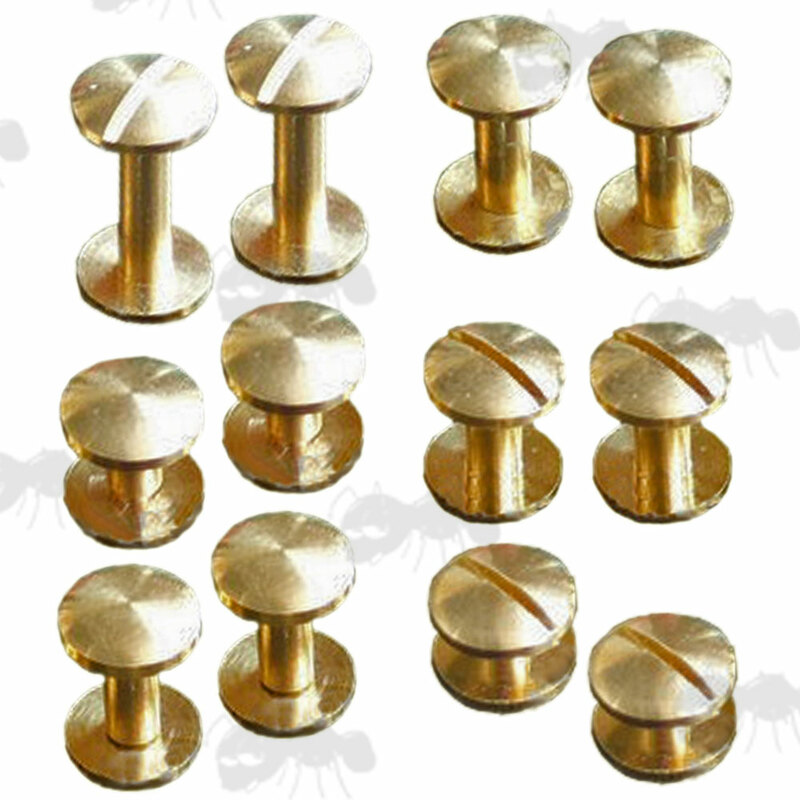 For overall length just add 4mm to the post length. 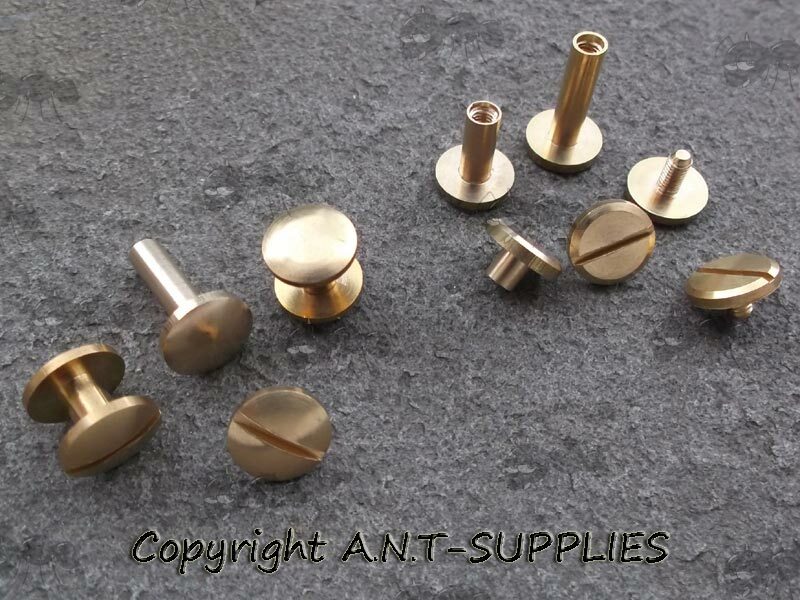 Choice of post lengths ~ 4mm, 6mm, 8mm, 10mm, 12mm, 15mm. 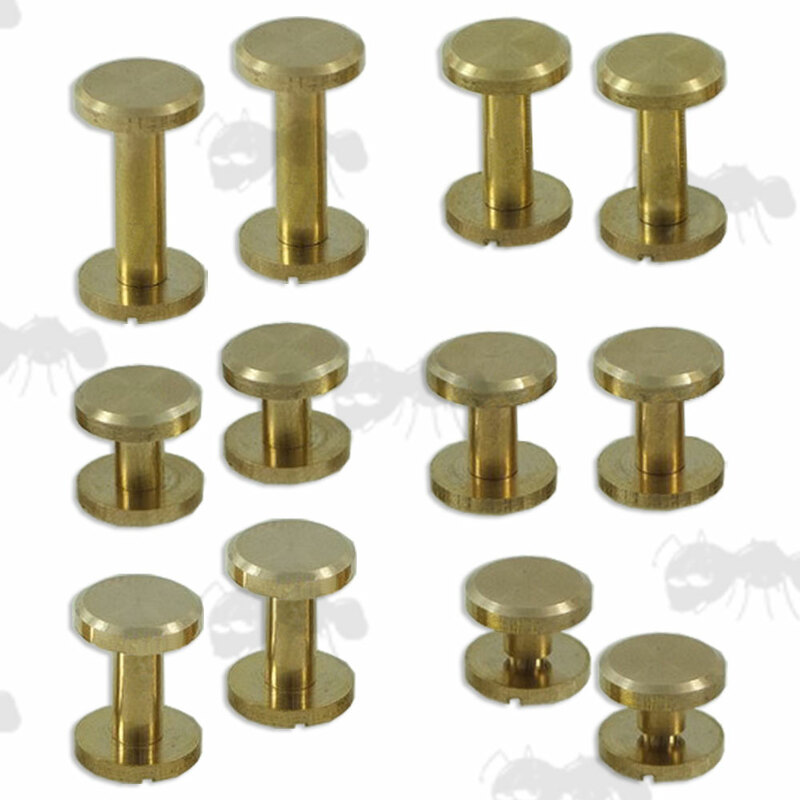 Solid brass Chicargo studs with slot heads. With choice of flat or domed heads. 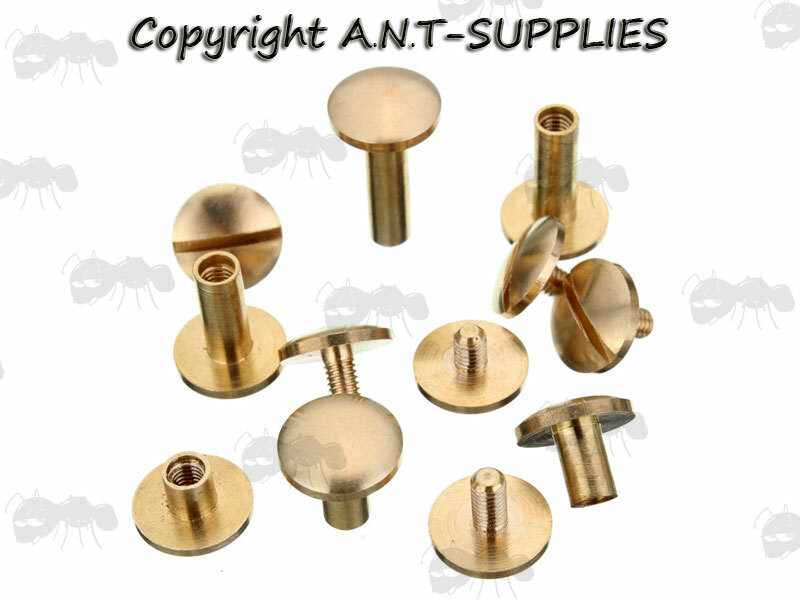 Most leather slings have hole fittings of 5mm diameter, so the studs with 4mm diameter posts maybe a bit loose. The Bisley version on the link below are 5mm.